The Government has released a 50-year community vision for the Yarra River, Birrarung – the first of its kind for an urban waterway in Australia. 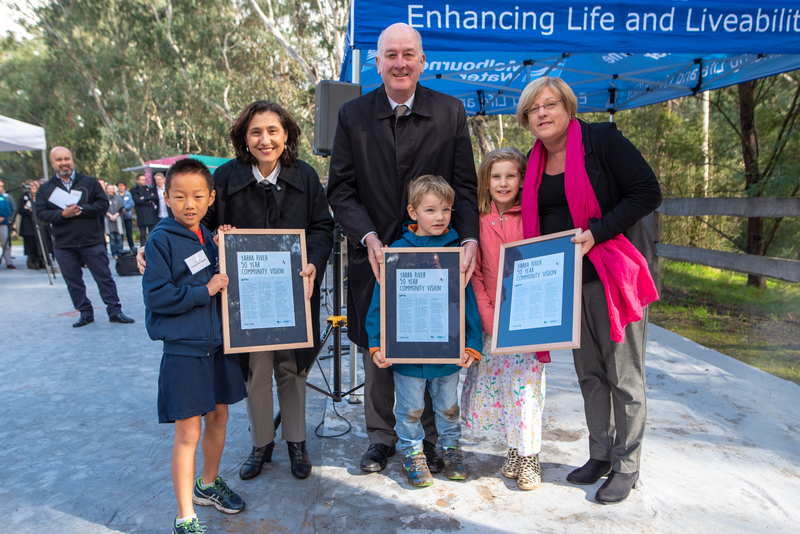 Minister for Water Lisa Neville, Minister for Planning Richard Wynne and Minister for Energy, Environment and Climate Change Lily D'Ambrosio joined Member for Ivanhoe Anthony Carbines at the new Finns Reserve recreational facility to launch Yarra Community Vision. Along with the three ministers, a number of Wurundjeri Elders and over 140 other key stakeholders attended the launch event. The development of the Community Vision was led by the Yarra Strategic Plan team within Melbourne Water and involved collaboration with the community, the Wurundjeri and partner organisations. More than 2,000 people have provided input into this process over the last 12 months and shared what it is about the Yarra that is important to them. The Vision highlights the importance of the river to Melbourne's history and the deep connection of Traditional Owners with the river, as well as the recreational, environmental and economic value of the Yarra. The vision outlines the community's long-term aspirations for the river and its release marks the start of the next phase of public engagement to craft a Yarra Strategic Plan that brings the community vision to life. Earlier this year, a community assembly, including 24 passionate Victorians drawn from all parts of the Yarra's 242 km length, drafted the Vision. Representatives from the Wurundjeri Land and Compensation Cultural Heritage Council Aboriginal Corporation provided cultural oversight of the process. "The Yarra River Action Plan is about taking meaningful steps so Birrarung – our iconic Yarra River – can continue to thrive and be enjoyed for generations to come."